When you are out playing paintball, it is always wise to carry a sidearm as a backup option. Consider it like an insurance policy, in case your main marker fails. The best option is to buy a compact paintball pistol. It is easy to confuse airsoft pistols with paintball sidearms, which is why we have created this shortlist. 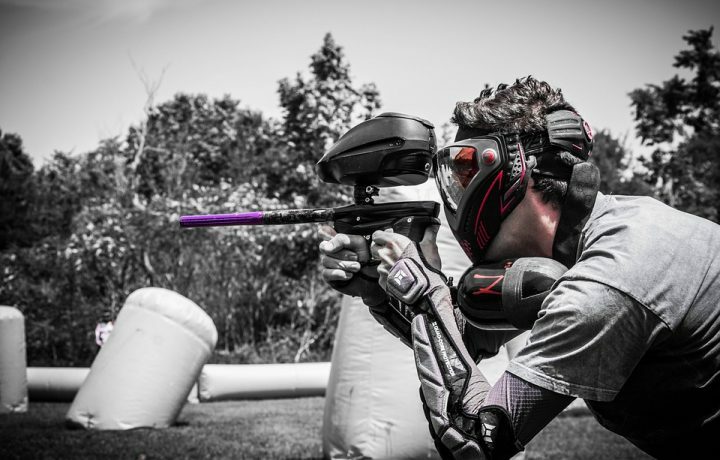 Prices can vary wildly in the paintball equipment market. 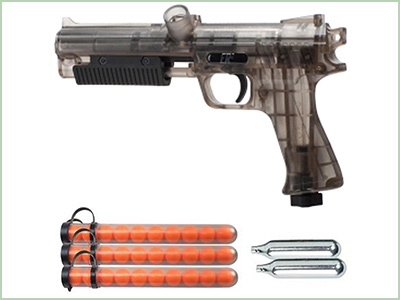 We have tried to keep an even spread while picking the best paintball pistols available online. All the guns on our shortlist are bestsellers, with the top of the line specs and excellent user ratings and reviews. 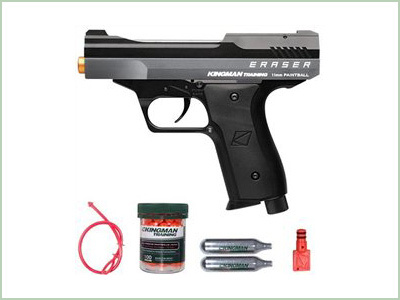 The Kingmann Eraser is a highly compact sidearm paintball pistol with a composite construction. This is a very durable pistol, made from a combination of aluminum and tough polymer parts. Weighing in at under 2lbs, the pistol has a nice little heft to it. And like most other paintball pistols, it has a magazine loading system. For power, it uses the standard 12 gr CO2 cartridges. This gun can fire 80 paintballs with a single CO2 cartridge. The max velocity of the gun is 250 FPS, which is well under the 280 FPS limit at most events. When you buy this marker pistol, you also get 100 paintballs, and a barrel blocking device. The Kingmann only slots in at seven on this list because it does not have any online user reviews yet. 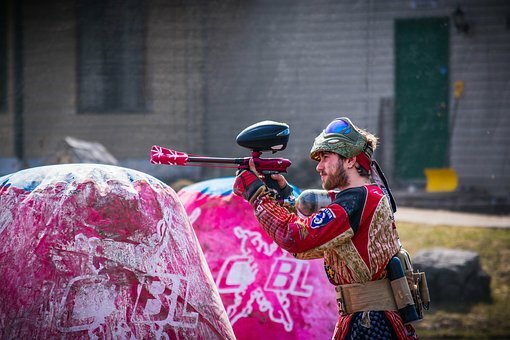 But the pistol is still quite popular, as it sits comfortably in the top 100 bestseller list for paintball markers. 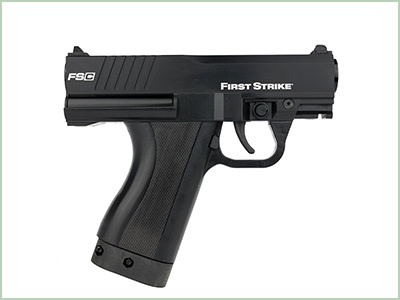 The FSC compact is the most expensive marker pistol on our list. And for that top end asking price, you do get quite a handsome looking sidearm. But the real beauty of this piece lies in its customizability. The First Strike has a very modular construction. That means that it can accept both 8 gram and the larger 12-gram CO2 cartridges. You can either use the T8.1 or the T9.1 magazines and barrels on this pistol. It can be kitted out to be a regular sidearm or your goto main weapon for CQ encounters. This is a .68 caliber pistol that has a shorter length than all other pistols in its class. And the grip is also smaller, making it a fantastic sidearm. The only reason this beauty does not rank higher on our list is due to a total lack of online reviews. For its asking price of above $300, we cannot recommend this paintball pistol in good consicence without some concrete user feedback. With an FPS rating of 280 max, the Tiberius Arms T8.1 is one of the most powerful marker pistols on our list. This all-black paintball pistol looks very sleek and durable as well. But it is certainly not the most compact pistol in the business, with a length of over ten inches. The short range accuracy of this pistol is pretty decent, but it will not be able to handle the workload as a primary marker. This pistol accuracy starts to drop at distances over 25-30 feet. But since pistols are mainly for CQB situations, this is not a major flaw in our books. The T8.1 uses the standard 12-gram CO2 cartridges combined with standard .68 cal paintballs. The ammunition is fed into the system using magazines, just like in a real pistol. Each mag can hold a maximum of 8 paintballs. You can either buy the marker as a solo or go for the player’s kit which also includes a holster, extra mags, and a mag pouch. The kit has a higher rating of close to four stars due to the extra value for money. The smaller caliber Walther PPQ has a maximum velocity rating of above 300, which makes it overpowered, to be honest. 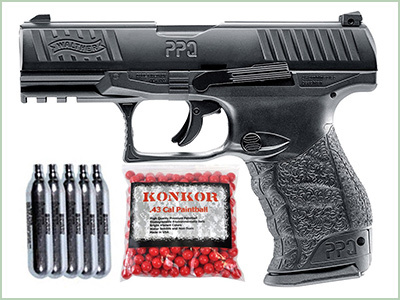 The PPQ is a replica of the real gun and looks every bit like the real deal. 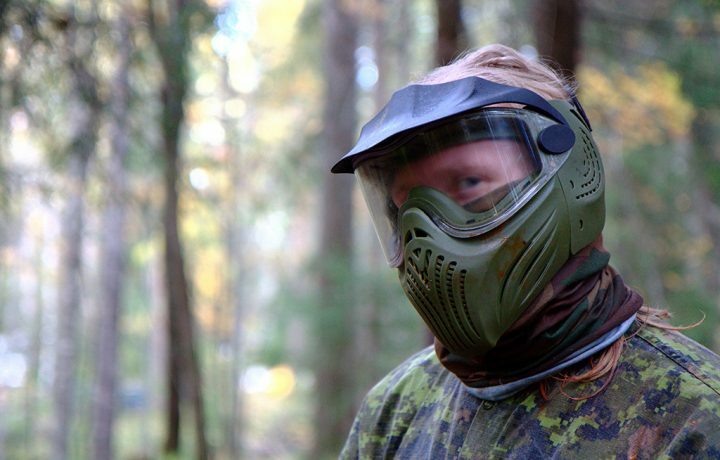 It is a fantastic option for paintball battles as well as tactical training. The magazine fed pistol can fire both paintballs as well as rubber balls of the same .43 caliber. The power is provided by 12-gram standard CO2 cartridges. Each magazine can hold around 13 rounds of ammunition. The customization options are pretty narrow, but you can still add laser or flashlights to the rails on this pistol. But the extra dose of realism is what pushes this gun into the top five of our list. User reviews also highlight the realistic feel of this pistol. It is very accurate and very easy to use, And the build quality is also pretty decent. This paintball pistol can handle quite a bit of punishment in the field. 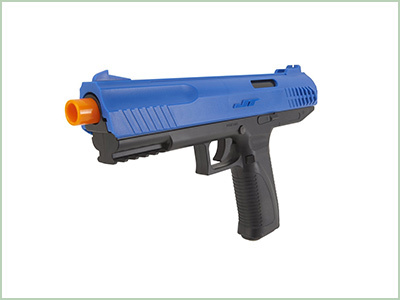 The JT Splatmaster cannot score any points for realism with a blue plastic gun. But affordability and value for money are what propels this paintball pistol into the top three on our list. 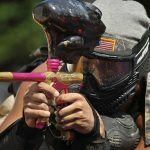 If you simply want a decent paintball pistol without spending a lot of money, JT Splatmaster is the brand to look for. It does not use CO2 cartridges or batteries, depending on a slide action instead. The gun uses a quick release magazine, which can hold seven rounds of ammunition. Though they sell exclusive ammo for the gun, you can get by with any .50 caliber paintball ammunition. You can only get one shot per slide action, but this is still a great starter pistol for some fun in the woods or backyard. It also has a decent accuracy that tops out at 50 feet. Despite its cheap build quality, it is still quite durable and reliable. JT gets a resounding thumbs up from us for their selection of extremely affordable starter paintball pistols. 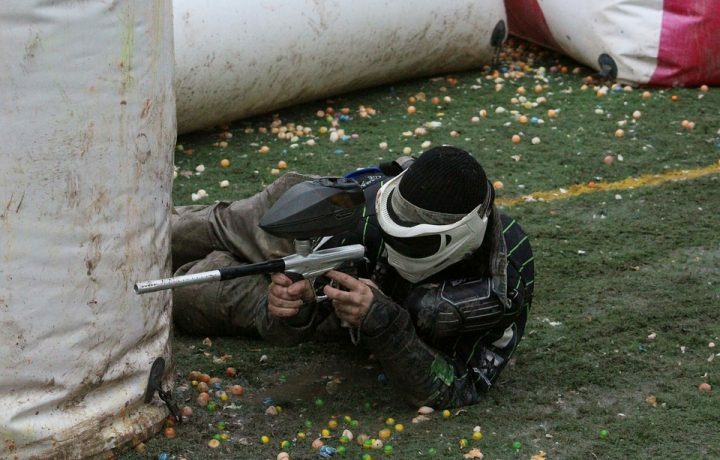 These paintball guns may lack in the realism department, but they do offer a lot of fun. And for a bargain basement price, you can get a .68 caliber paintball that uses 12-gram CO2 cartridges. The velocity rating of the pistol is no slouch at around 280 FPS. But to keep costs low, they have removed any automatic firing. Instead what you get is a slide action gun that can fire only one round at a time. But for the sub-$30 price, that is an acceptable compromise. The JT ER2 is shipped along with two CO2 cartridges, a barrel plug, and 30 paintballs. The entire package gets good reviews from users for the value it provides. The range is not the best, but it does get the job done in a pinch. 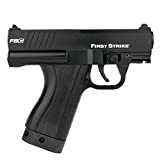 This is an excellent starter paintball pistol. The Tippmann is the only gun on the list to get 4.5-star reviews from its customers. 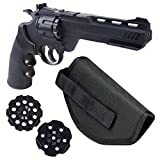 And this paintball pistol also tops the list when it comes to the number of reviews.And it wins the popularity contest easily due to its features. 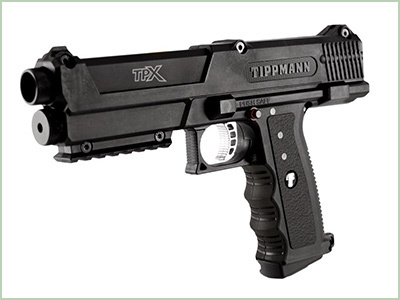 The TiPX is a very cool, military style pistol with a compact design. At just a little over one pound, it is one of the lightest pistols we have reviewed. The .68 caliber pistol uses CO2 cartridges under the barrel for the firing mechanism. It is magazine fed, with each mag capable of holding eight paintballs. If you want a pistol that is accurate enough for close and medium range combat, the TiPX is a reliable contender. 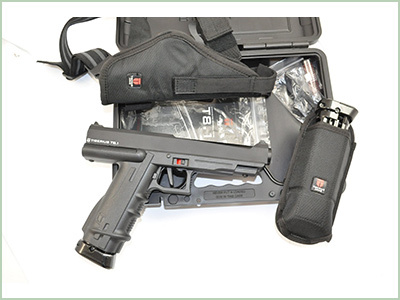 If you want additional gear, the pistol is available as part of a kit that comes with a holster and other accessories. That brings us to the end of the list of the best paintball pistols available online. The markers on our list were chosen based on their feature list, quality, user ratings, and value for money. Based on these factors, the Tippmann TiPX easily beats the competition. Do you agree? Let us know in the comments section below! 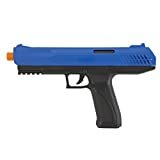 I found that if you are just starting out, the worst paintball gun to try out is the Walther PPQ. It is way too strong and overwhelming. But if you know what you are doing and you are more advanced with it, it is fine I guess. Yes, you’re probably right. Though it is great if you want a paintball pistol that looks and feels like the real deal. The JT Splatmaster z100 Paintball Pistol is not perfect by any means, but for what it is worth, it’s a good paintball gun. If you keep your expectations realistic about this one, then you will be satisfied with how it works. I was given the Kingmann Training Eraser paintball pistol for my birthday recently, and I must say it is a great tool. It shocks me that there are not many reviews on this one because it is quite good. I am enjoying it. 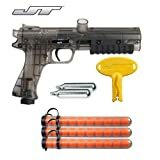 The JT ER2 Pump Pistol RTS Kit paintball gun is quite impressive. The price is right and the range is not at all bad really, and I am quite aware that others have complained over it. But I think it is fine. I would look into this one most definitely. This is indeed one of the few cases in which the price truly is justified. The Kingmann Training Eraser Pistol is awesome as it works efficiently and it is bad difficult for newbies to use. I found it to be a bit pricey as that is my only complaint about it but otherwise it’s fine. Is the price justified, in your opinion? We believe it is! 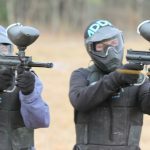 I am new to paint balling and the fun to get I am not sure would be best for someone who is starting out. I’ll bookmark this page for future reference. I’ll be checking back. I am a proud owner of the Kingmann Training Eraser Pistol as it is really the best paintball gun around. It is light and affordable, and durable, and so easy to use. Not to mention, you get so many perks when you purchase it! 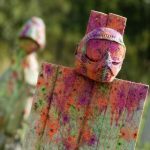 My cousin has introduced me to paintballing and he told me to look at this site. This site is full of amazing reviews. And, which paintball pistol would you recommend for an ultra newbie like myself? This is the only thing I am wondering. We would recommend either the Tippmann TiPX or Jt Splatmaster. They both offer good value for the price, though the JT Splatmaster is a slighlty less expensive than the Tippmann TiPX. The TiPX, however, is a bit more balanced than the Splatmaster, which means it’s better both for short-range and mid-range combat. They’re both very light, which makes them really easy to handle.